Email marketing has been proven as an effective way of reaching out to your established and prospective customers. It is a simple and fast medium for effective communication that can help in reaching to various customers with different taste. Organizations that have discovered the power of e-mail marketing are using it to reach out to their prospective and established customers. 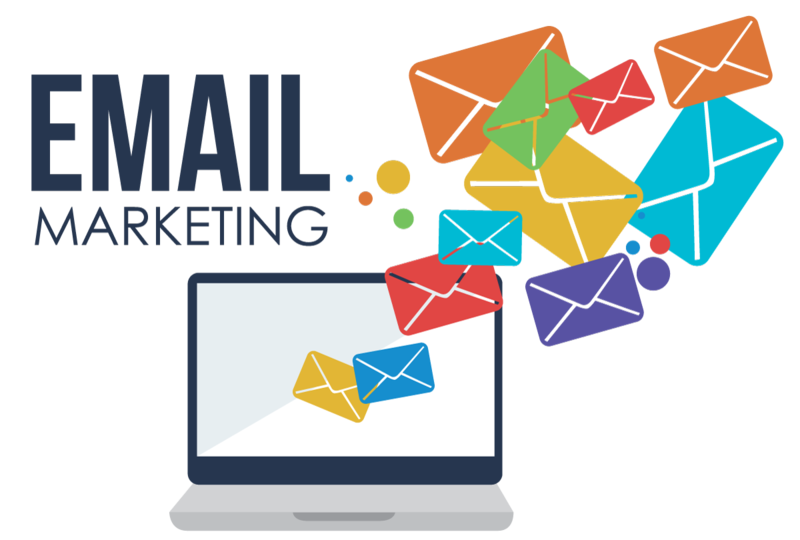 Many customers and prospective clients may not have the luxury of time to visit your website to know the latest news and innovation concerning your business, but with e-mail marketing, you can reach out to them conveniently. We want to briefly explore some of the many important doors of opportunity for your business can explore using email marketing. This point is very necessary because your customer ought to know about your products and services before making decisions. For instance, a furniture company can use email marketing to advertise the pictures of their new products to their clients. This will allow your customers to have a look and feel your new products without visiting your website. However, this should not result to flooding the inbox of your customers with too many information about your products and services which might in most cases get customers irritated. You have to decide the frequency of your messages. Weekly? Fortnightly? Monthly? Before sending out the emails, you must have something in mind. Ask yourself questions, what do I want to achieve? Every email marketing campaign must have an objective. An email marketing objective includes signup, download, register. A call to action (CTA) link or button will help your customers to take the action you want them to take. Having a compelling e-mail without a call to action amounts to nothing. After reading your beautifully written message, your customers and prospective customers will like to know more. Do you expect them to go to their browsers to type in your website address? There should be a link for those that wants to read more and know more about your products and services. Try and makes sure your website is easy to load. According to Google, 53% of mobile website visitors will leave if a webpage doesn’t load within three seconds. This is one of the important way organizations can build customer loyalty. For instance, a car manufacturer can use email marketing to send various tips like how to handle fire emergencies, how to prevent car damages etc. These post-sales services helps customers to identify with your brand. Some companies go to the extent of creating YouTube channels to educate their customers. Customers wants to know many ‘how tos’ about your products and services. You can organize the frequently asked questions (FAQs) and send the answers to your customers. You can ask yourself – what can I share that my customers might not know? If I were my customer, what would I find interesting? Sending generalized emails to you won’t help your business. When customers visit your website, use web analytics tools like Google Analytics to monitor their activity. What products are they searching for? Which products are they viewing? What products did your customers recently purchased? Narrow down their interests. Sending a newsletter about kitchen utensils to a customer that is interested in fashion is a turn off. Having these insights about your customers will enable you to segment your email marketing database. A segmented or grouped email marketing database helps to send the precise message a particular customer segment. All these culminates in developing a relationship with established and prospective customers. Some email marketing tools allow you to include additional information. Once you know who you’re speaking to, you will hit the bull’s eye. I know you might be thinking, how is this a reason use email marketing? Well, every form of marketing is an opportunity to tell a brand story and email marketing is inclusive. Every business to customer (B2C) experience is rooted in perception. Prospective customers might know about you, but their actions will be determined by the impressions you make on them. Through your email, they will have a feel of your vision, mission and values. What are your values propositions? It is an opportunity to shed light on what you’re doing. Tell them about your new products, upcoming events, and popular posts on Facebook, Twitter, blogs and customer feedbacks. Don’t assume your customers know what you’re doing and had heard about them before. Keep reminding them of your uniqueness. Remember, without customer experience, there is no real progress.